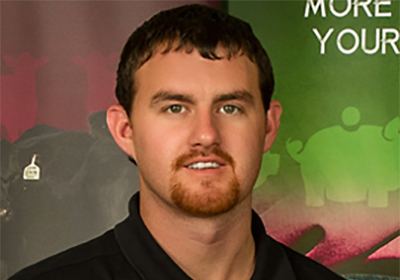 BioZyme recently hired Joshua Brockman of Montgomery, TX as Show Products Marketing and Growth Coordinator. In his new position, Brockman will work with 4-H and FFA chapters and agricultural instructors to help them reach their livestock project goals. Brockman will also be working to grow BioZyme’s Make Your Own Luck camps and clinics. These events give young livestock enthusiasts the opportunity to learn about nutrition, general animal care, showmanship and grooming from leaders within the industry. Brockman has a Bachelors Degree in Agricultural Science from Texas A&M University. He previously worked five years as an Agricultural Science Teacher/FFA Advisor for Spearman Independent School District in Spearman, TX; and three years as a Farm Manager Assistant at Schley Farms in Fayetteville, TX. Brockman raises show pigs on his farm in Montgomery, TX with his wife and is a member of the National Swine Registry.